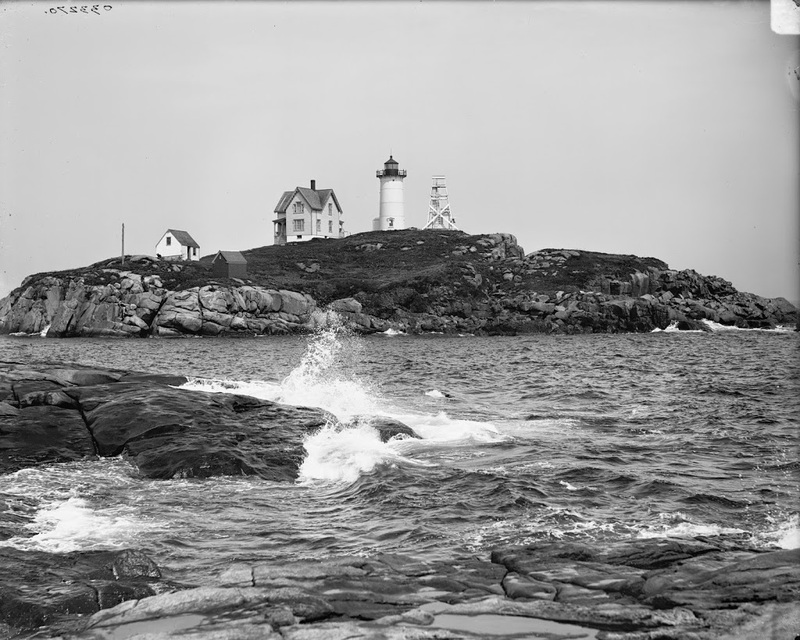 Cape Neddick “Nubble” Light, as it appeared between 1900 and 1910. Image courtesy of the Library of Congress, Detroit Publishing Company Collection. 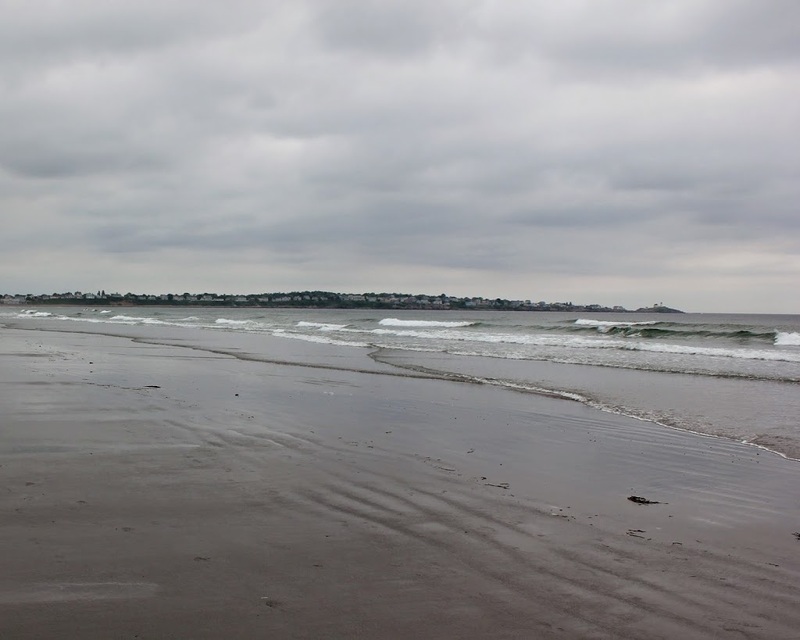 Not much has changed in 100 years; the 1879 lighthouse, keepers house, and outbuildings remain as they were in the early 1900’s, and the rocks clearly haven’t gone anywhere either. The only significant changes are the enclosed walkway between the house and tower, and demolition of the bell tower seen to the right of the lighthouse in the old photo. On a curious note, the Voyager spacecraft, launched in 1977, carries several photographs of notable man-made structures in the event that it should ever be discovered by extraterrestrials, including the Great Wall of China, the Taj Mahal, and this lighthouse. 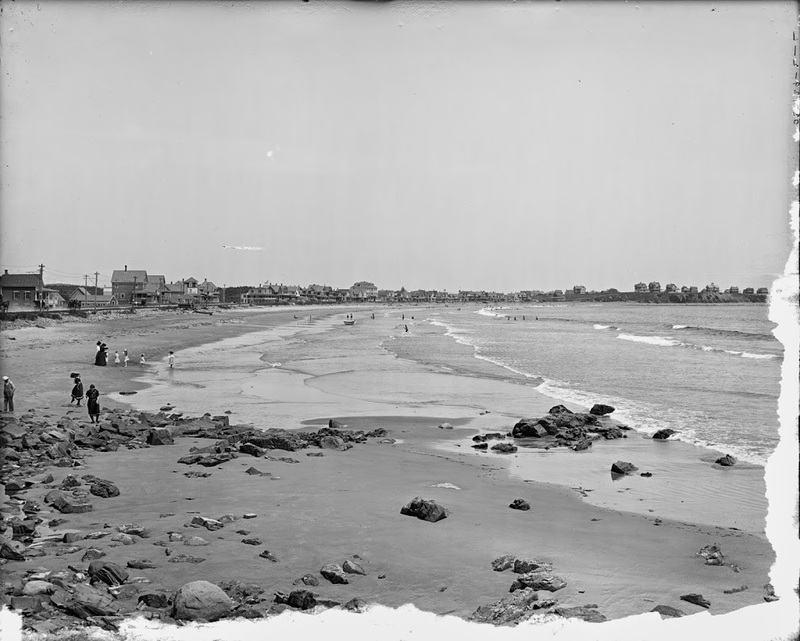 The view of Long Sands Beach in York, Maine, between 1900 and 1910. Image courtesy of the Library of Congress, Detroit Publishing Company Collection. The landscape hasn’t changed much – not many of the present-day buildings are readily identifiable in the early 20th century photo, but in either case the style of buildings hasn’t changed much in the past 100 years. A few buildings that definitely do still exist are the cottages on the bluff on the far right hand side of the old photo. Although this area is outside the frame of the 2011 photo, other photos of the area show that those buildings are still there. 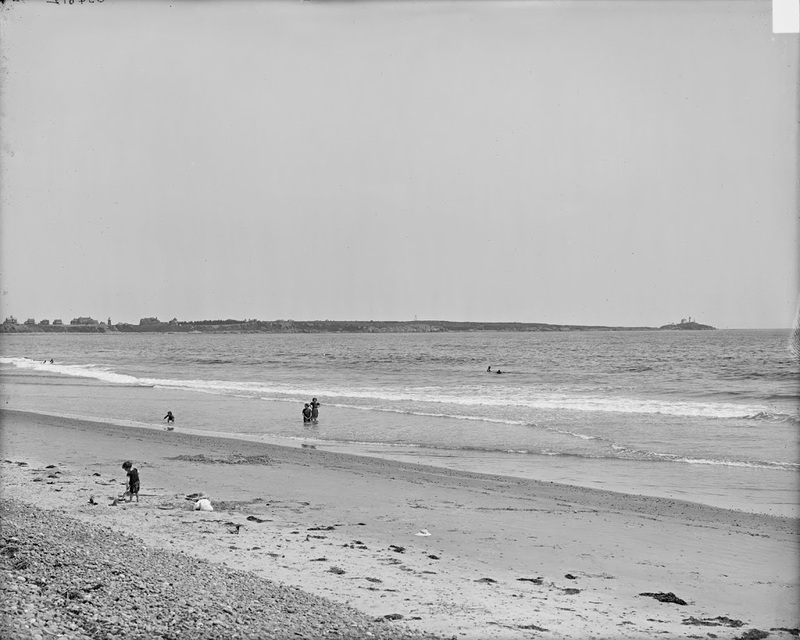 The view of Cape Neddick from Long Sands Beach in York, Maine, between 1890 and 1910. Image courtesy of the Library of Congress, Detroit Publishing Company Collection. 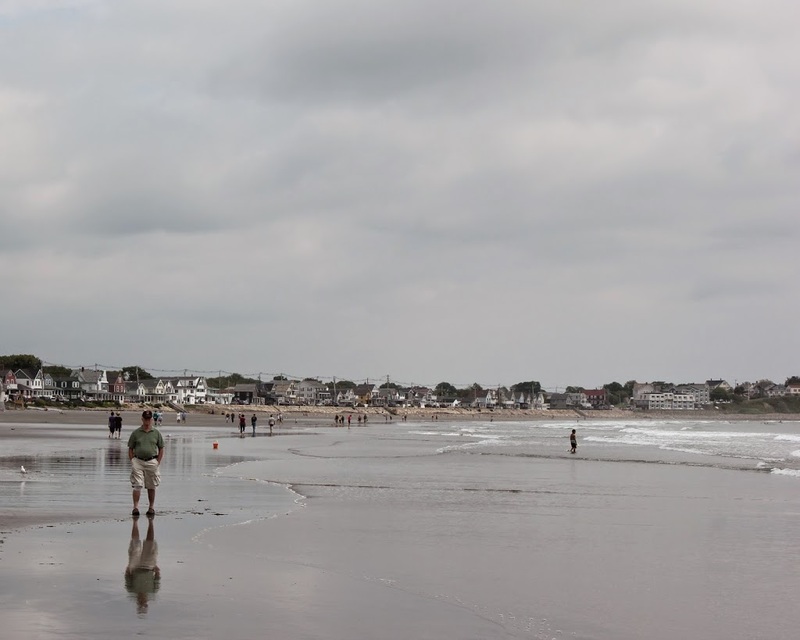 In the past 100 years, Cape Neddick went from being almost deserted, to being covered with vacation homes. 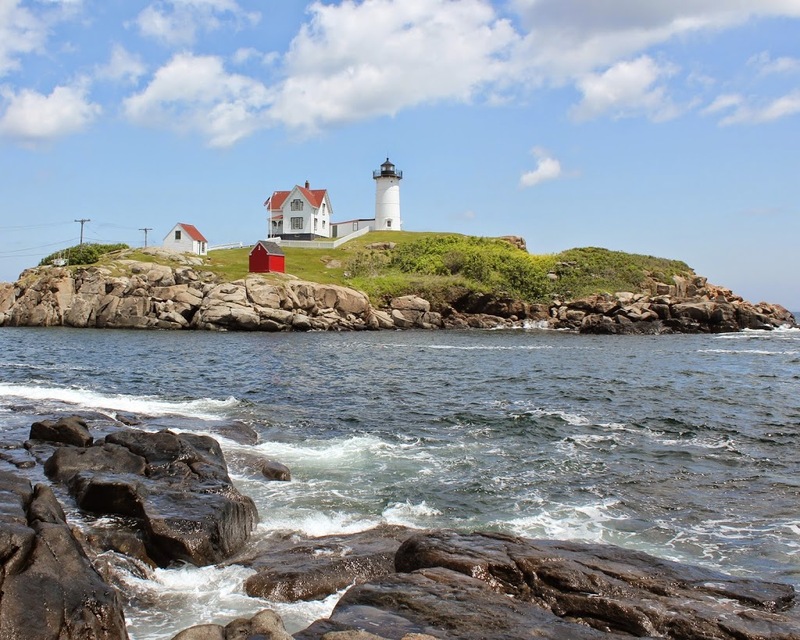 The only readily-identifiable structure in both photos is the Cape Neddick “Nubble” Lighthouse, located at the end of the peninsula on a small, rocky island known as the Nubble. However, with close examination, at least one of the cottages from the old photograph still exists – the one with the tower in the center of the roof on the far-left side of the photo.